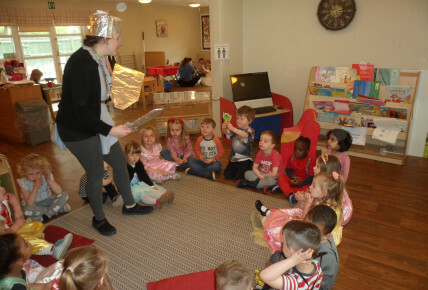 The children and staff celebrated in style today by rocking out in there Princess dresses and Knight costumes. 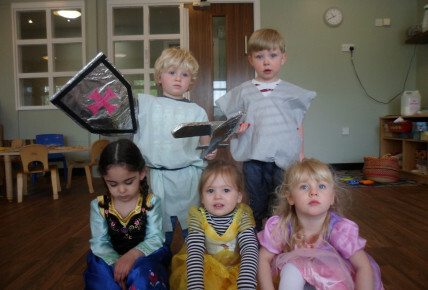 We made our own shields and swords and battled throughout the day trying to try and save the Princesses! 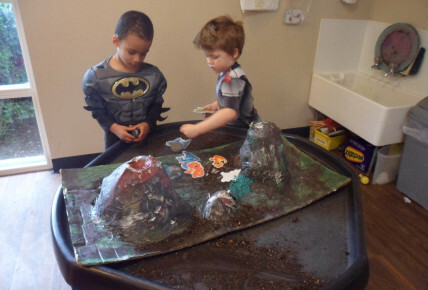 In Pre-school we also made volcanoes for our mini dragons!